Looking for a synagogue? The Greater Miami Jewish Federation and the Rabbinical Association of Greater Miami, together with 37 participating synagogues, are offering a limited number of tickets at no charge for Rosh Hashanah and Yom Kippur services through the High Holiday Welcome Program. 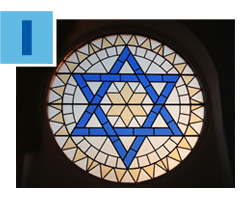 Registration opens at noon on Monday, September 12, both online at JewishMiami.org and by phone at 305.373.SEAT (7328). Since 1999, with Annual Federation/UJA Campaign funding and supplemental gifts from generous donors, the program has made more than 65,000 seats available at synagogues across Miami-Dade County. Worshippers of all denominations are welcome. 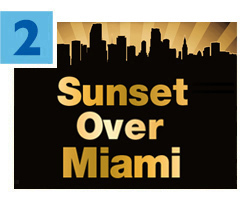 Real estate professionals, don’t miss the 19th Annual Sunset Over Miami, the highly popular networking event presented by Federation’s Real Estate Division. Taking place on Thursday, September 29 at Sabadell Financial Center in downtown Miami, this year’s program is chaired by Joseph Furst and Arden Karson. Nicole Shiman and Scott Wadler are Vice-Chairs. Architects, brokers, builders, developers, realtors, contractors and other professionals in commercial or residential real estate and their related trades are invited to attend. To RSVP, click here, or call 786.866.8432. An innovative, Federation-funded art therapy program for Holocaust survivors living in Israel is helping them share their difficult personal stories through the camera lens. “Photography With Joy” is a unique initiative of the American Jewish Joint Distribution Committee (JDC), a long-time Federation partner, designed to give sometimes socially isolated survivors a new skill, an emotional outlet, and a way to help them cope with the horrors of their past. After learning photography lighting, composition and digital editing, participants meet with a biographer and oral historian to craft a personal narrative of their time during the Shoah. Finally, the survivors take a modern photo that relates to their story. 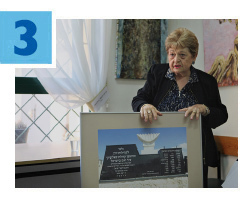 In the program’s six years, 200 survivors have participated in 20 locations across Israel. Read more. From preschool and afterschool programs to adult education and much more, Miami’s three Jewish community centers are buzzing with activity! Last year, the Annual Federation/UJA Campaign provided more than $2.2 million in vital support to the Michael-Ann Russell JCC in North Dade, the Miami Beach JCC, and the Dave & Mary Alper JCC in South Dade. Such funding helps make it possible for these multi-faceted facilities to offer outstanding educational, cultural and social-service programming year-round for thousands of people of all ages. If you’re looking for a great way to connect to your Jewish community, be sure to check out your nearest JCC! Want to keep up with the latest news from synagogues, schools and organizations across Miami’s Jewish community? Want to share news of your own? 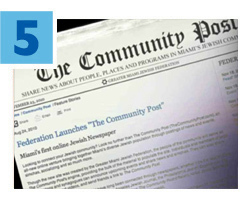 Be sure to check out The Community Post®, Miami’s user-generated online Jewish newspaper. You can also receive weekly emails, featuring select stories, by subscribing here. 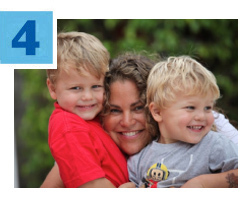 The Community Post is a free service of the Greater Miami Jewish Federation.